Nando’s is a casual dining restaurant that specialises in spicy, flame-grilled chicken served with its signature “Peri-Peri” sauce. The Nando’s name has spread across the world since it was first founded in the late 1980s. After a humble beginning in South Africa, there are now more than 1,000 locations across the globe, with close to 300 of them in the United Kingdom alone. A Nando’s feast of chicken, vegetables, chips, rice and corn. Nando’s began life in 1987, when the first restaurant was opened in the city of Johannesburg, South Africa. They took over an established restaurant after eating there and falling in love with the piri piri sauce that the restaurant used. This sauce would later be turned into their own “Peri Peri” sauce, making use of the same unique spice combination. Nando’s was named after Fernando Duarte, one of the owners, and although the first restaurant cost the equivalent of just $40,000, it became very popular very quickly. So much so, in fact, that the owners were able to expand across the city and the country. The first location they opened outside of South Africa was in Portugal, where Fernando was born. They had just 4 locations (including the one in Portugal) by the end of the 1980s. 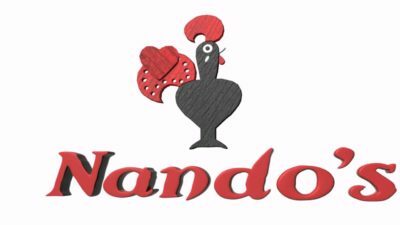 But three decades later the Nando’s brand had grown into one of the biggest restaurant chains outside of North America. This growth actually allowed them to expand into North America where they still operate to this day. But most of their success has stemmed from other locations, namely the ones in Africa and the United Kingdom. 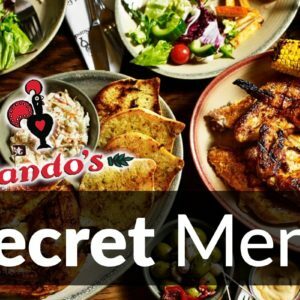 The Nando’s secret menu might surprise you. It’s not common to find a secret menu in a casual dining restaurant like this, but Nando’s has one. There are several items on this menu that we know of, and more are being added all of the time. So, be sure to read our guide to learn about these items and to stay updated as new ones arrive. This page is refreshed with new content all of the time and we are constantly looking for newmenu hacks to add. So, if one becomes available, you’ll be sure to see it there. Nando’s operates a little differently from other eat-in locations and from fast food locations as well. It is somewhere in between the sort of service you would get from Pizza Hut and the service you would get from McDonalds. Like the former, your food is brought over to the table for you. But like the latter, you are expected to place your order at the counter after reading the menu. This provides a little service to the customer and keeps them happy. But at the same time, it reduces the work the servers need to do and therefore limits the number of servers that Nando’s need to hire. The fact that you pay upon ordering and can leave straight after eating, also promotes speedy service and helps to keep the customer turnover high. This is important, as some locations have people queuing outside the door. Once you have your food, it’s time for the sauces. This is where Nando’s truly comes to life. There are a number of sauces to choose from, and these are available for all paying customers. These sauces range from the mild to the super hot, with several degrees of heat available. Be careful though, because when they say “hot”, they really mean it. Some of these sauces are not for the feint of heart and even the slightest drop packs a powerful punch. Nando’s combines a unique blend of Portuguese and African cooking, focusing on flame-grilled chicken. The cuisine from these regions varies greatly, with a hearty mixture of meats, a healthy combination of grains and plenty of grilled vegetables and breads. As far as the price goes, Nando’s is considered to be relatively cheap. It’s a little more expensive than chicken chains like Popeyes and fast food restaurants like Burger King, but you can generally feed a family of 4 for less than $50 and get a feast for 1 for less than $15. To see all of the Nando’s menu prices for yourself, just click onto our guide. Within ten years of founding the first restaurant in the country, there were 100 locations in South Africa. This remains one of the biggest markets for Nando’s, but they have also extended into over 35 countries around the world. In the United Kingdom, there are close to 300 restaurants. The Nando’s brand is hugely popular here and has wormed its way into the British culture. It is featured on TV shows, mentioned on soap operas and has even worked its way into song lyrics. The term “Cheeky Nando’s” is used to refer to someone dropping in for a quick bite to eat, and Nando’s is also favored by many star British athletes who are vocal about their love of this chain on social media. Other locations include Australia and New Zealand, Canada and the United States, as well as countless countries in Africa. Nando’s is very popular with health conscious diners as there are many healthy options on the menu. It helps that their main ingredient is chicken, a lean white meat that is packed full of protein. But there are also plenty of bean dishes, and there is no shortage of vegan, vegetarian and gluten-free options. To learn more about Nando’s nutrition, just read our guide. This contains all Nando’s menu items and is updated regularly to ensure it stays relevant. Nando’s are open for much of the day, with the main hours being during lunch and dinner. You can pop in for an afternoon meal or for an evening meal, but few restaurants are open beyond those hours. Nando’s also closes during some major holidays and the store hours may be limited on Sunday.